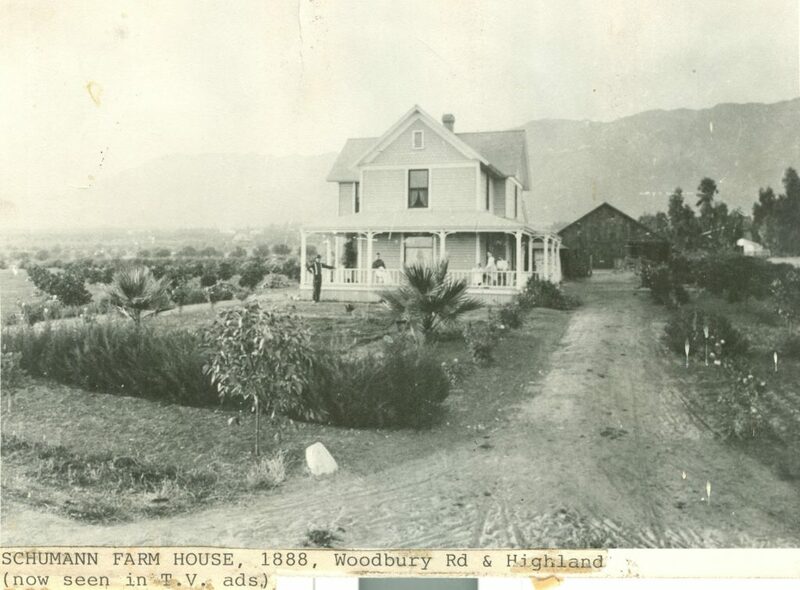 In 1887, Altadena was a small, sparsely populated community of seven or eight households north of Pasadena. With the building of Thaddeus Lowe’s Mount Lowe Railway, the fledgling community became a tourist destination. 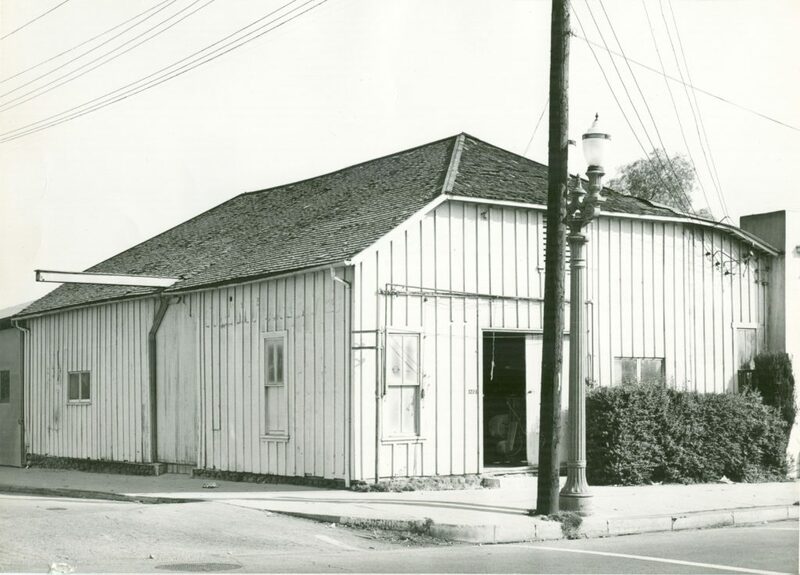 One of the areas that changed the most was the northwest corner of Lake Avenue and Calaveras Street where a small railway depot, known as Mountain Junction, was located. 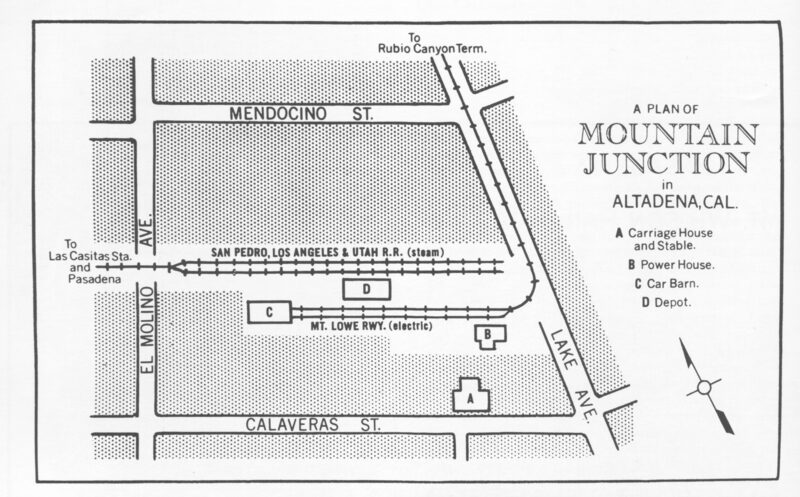 Mountain Junction, soon re-named Altadena Junction, originally served as the terminus of the Pasadena Railway Company. 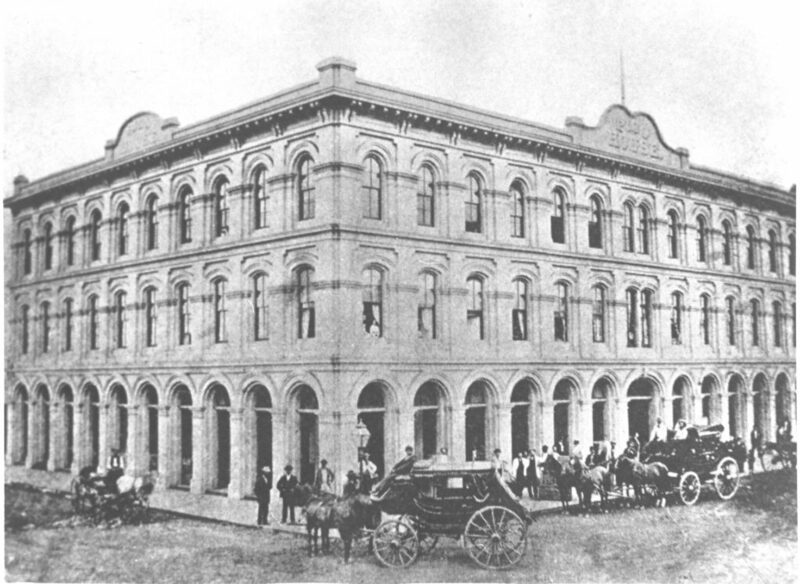 Financed by wealthy Altadena residents including Andrew McNally and Col. G. G. Green, the line carried passengers from Pasadena to Altadena via a route along the Arroyo Seco and Lincoln Avenue before turning eastward near what is now Harriet Street. 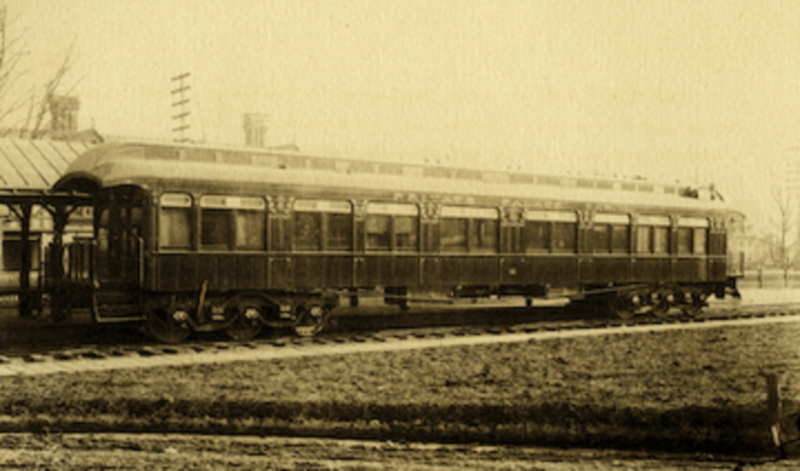 This route allowed Altadenans who owned custom-made private rail cars to have direct access to their homes. In December of 1891, Professor Lowe drove the first spike of his new railway system at Altadena Junction, the spot where visitors could catch a trolley to Rubio Canyon, where Rubio Pavilion and Hotel sat at the foot of the great incline. 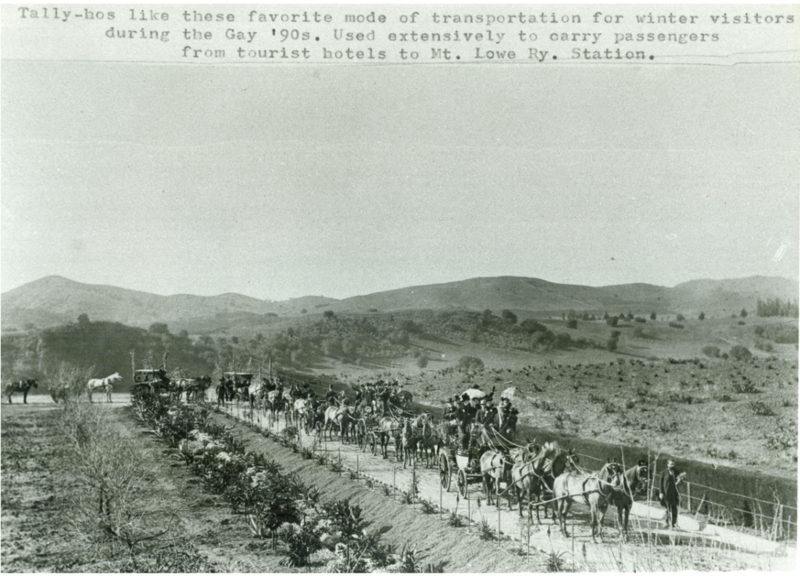 When Lowe’s railway began operation in 1893, the most convenient (and enjoyable) way to access Altadena Junction was by horse and carriage. Soon its terminal facilities grew to serve the many tourists coming to the area, as well as the coaches that brought many of them there. 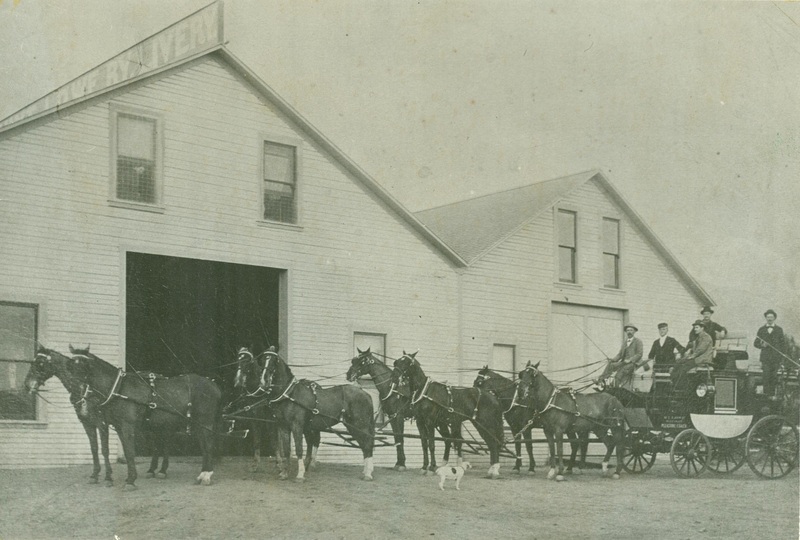 The new facilities included a somewhat larger depot, a barn and a carriage house. Beginning in January of 1895 the Mt. 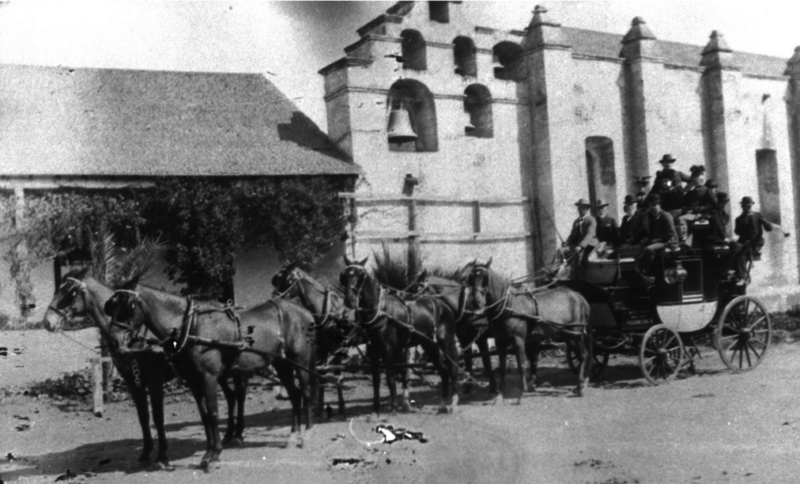 Lowe Tally-Ho Coaches began service from Los Angeles to Altadena. Stopping at the leading hotels of Los Angeles and Pasadena, the coaches would pick up travelers and take them along the most scenic routes including the small towns of Sycamore Grove, Highland Park and Garvanza, (now all part of Highland Park) to arrive at Altadena Junction. There, passengers would transfer to electric cars that would carry them up Lake Avenue to Rubio Canyon and the start of the Mount Lowe Railway Incline. 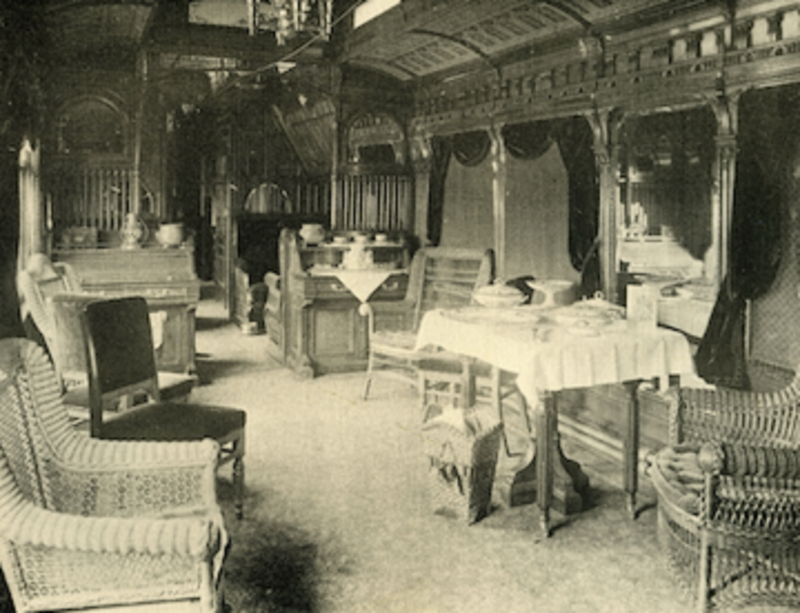 Coaches would leave Los Angeles at 9 A.M. so that travelers could ride the incline cars to Echo Mountain House in time for lunch. 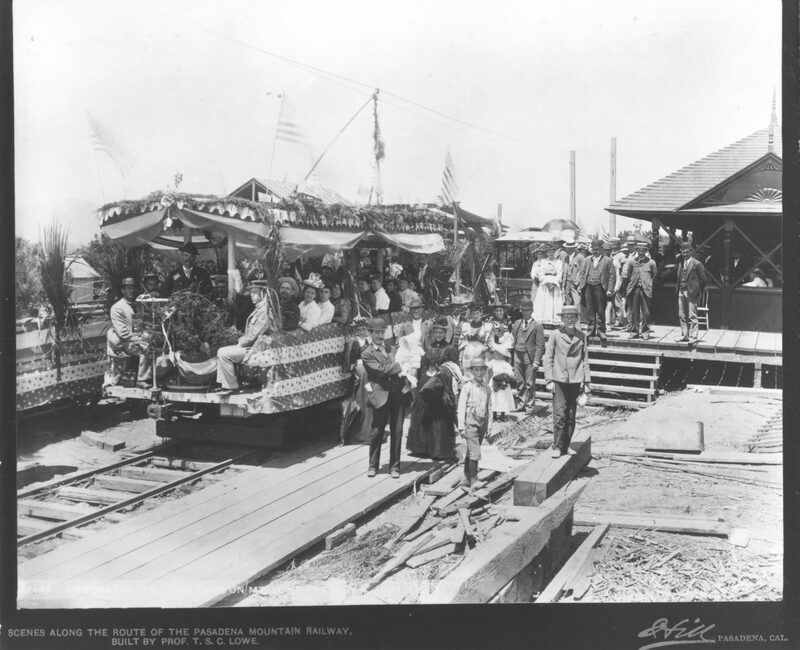 A rebuilding program for the tracks from Altadena Junction at the southwest corner of Lake Avenue and Calaveras Street to Rubio Canyon took five months to complete and changed the route to connect with the rails coming from communities already serviced by Huntington’s Pacific Electric Railway. 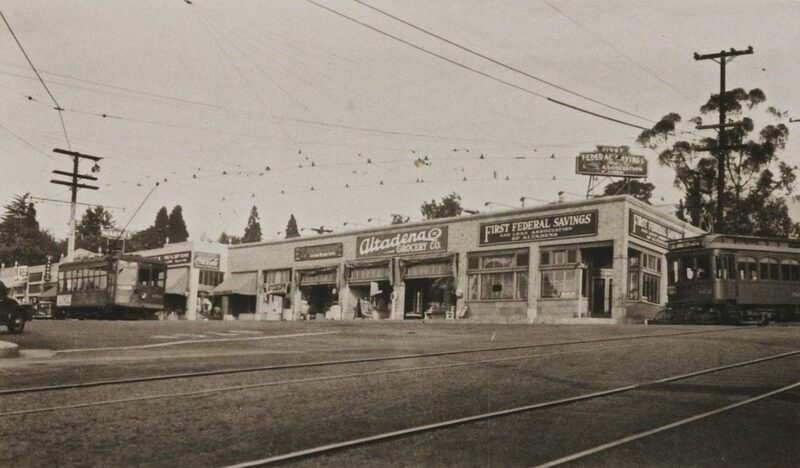 A trolley line now connected Altadena to the Pacific Electric lines that brought people directly from Los Angeles to Altadena. A track was laid across Mariposa Street where the trolley cars turned north on Lake Avenue heading toward Rubio Canyon. Schumann Family farmhouse prior to their move to carriage house and barn. 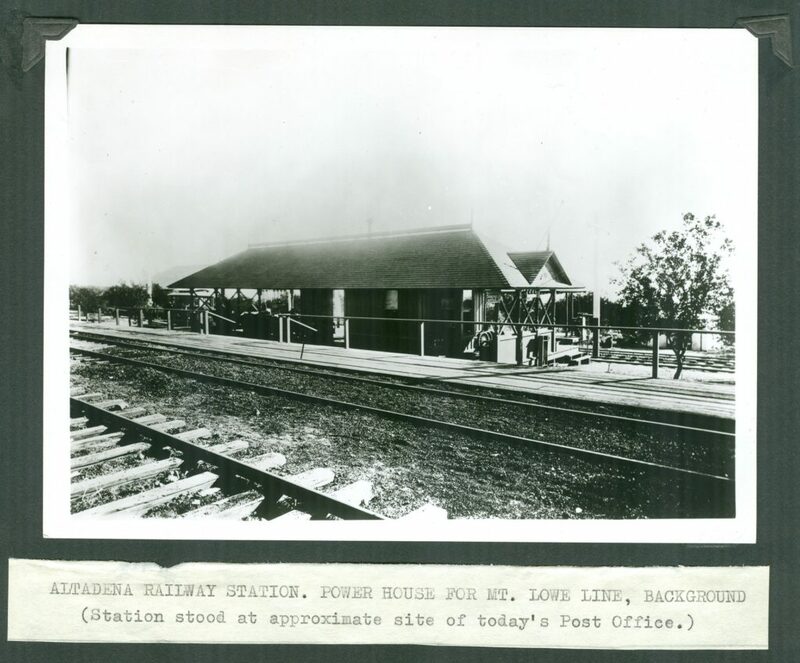 With direct rail service eliminating the need for the Altadena Junction station, the Tally-Ho coaches and the barn and carriage houses that serviced them, the original Altadena Junction station was abandoned. 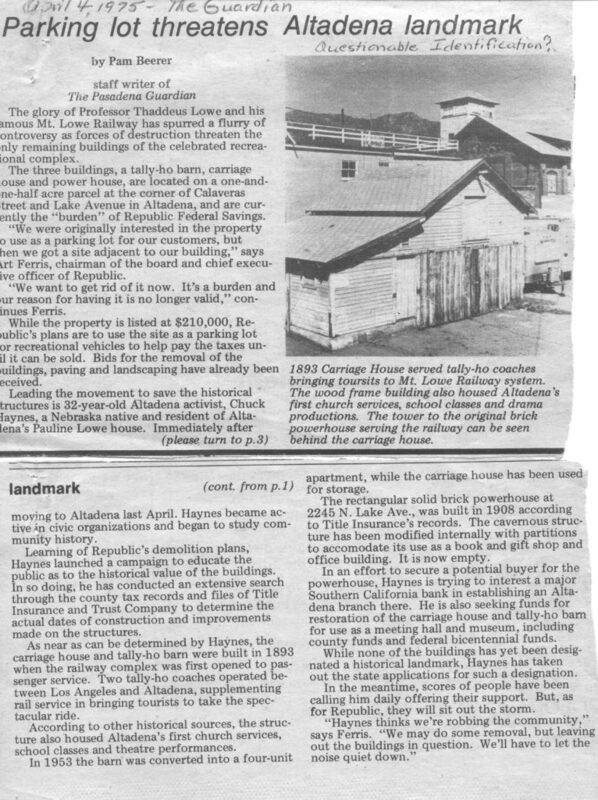 The barn and carriage house were sold to the Lewis Schumann family. The family lived in the barn for two years while the carriage house was moved to the corner of the property and remodeled into a residence for them, where they lived until 1941. 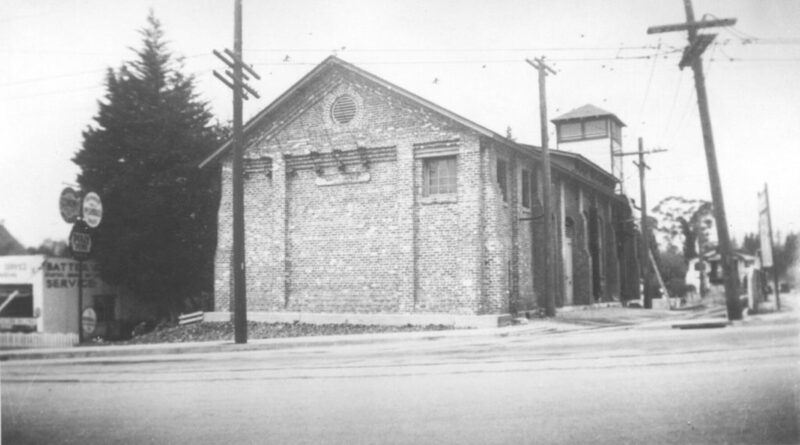 The barn was renovated and became the site of Altadena’s first church and first theater. 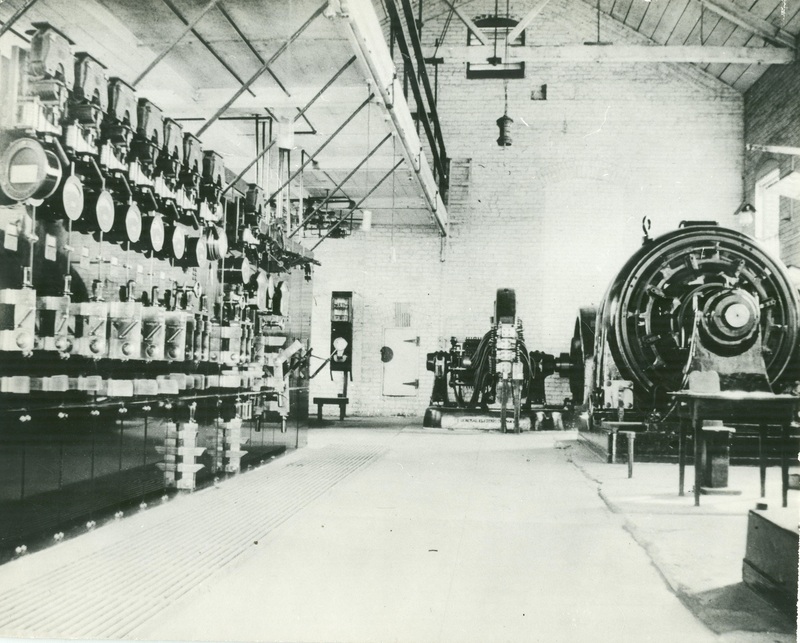 In 1906 Huntington’s Pacific Electric Railway Company built Substation No. 8 to replace the fire-destroyed electrical generators located on Echo Mountain. It was built below the mountain, on the site of the original Altadena Junction, next to the site where the carriage house and barn were located. 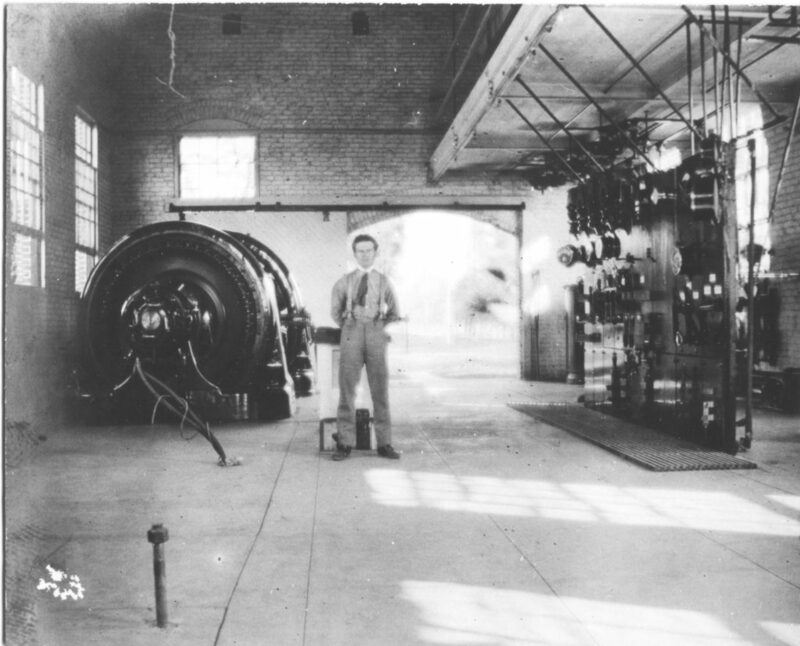 It housed the machinery that provided the power for the Mt. Lowe Railway. 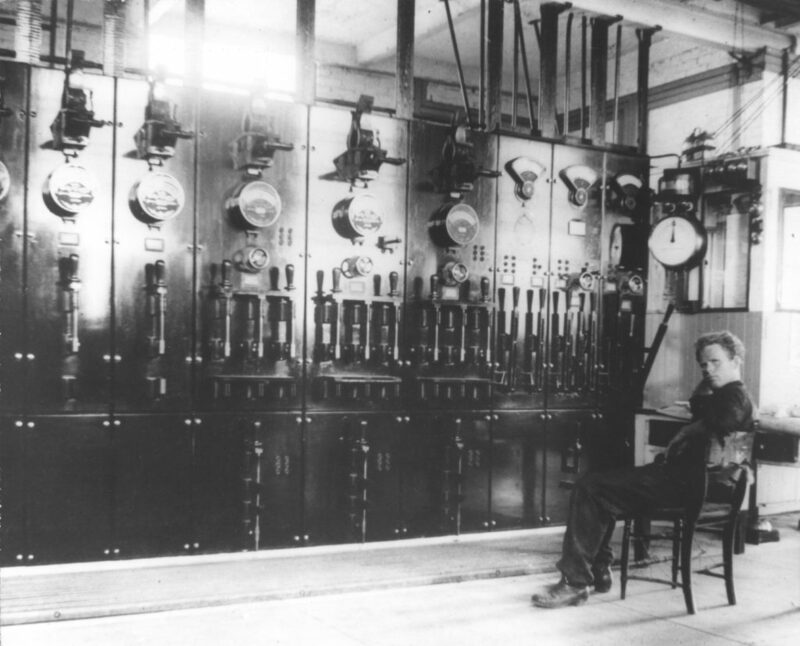 The building’s tower provided visual communication opportunities between the substation and the workers on the mountain.